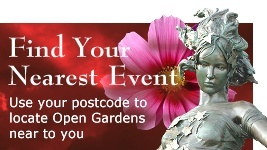 With many gardens to visit, including four new ones this year, there will be something to appeal to every taste, from traditional, long established, English gardens with lawns, herbaceous borders and roses to quiet hideaways and modern, low maintenance gardens. 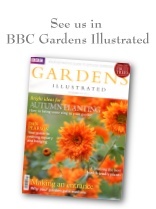 Whether you are a plants-person or are interested in garden design and layout, these gardens are packed full of ideas for you, however large or small your own garden. 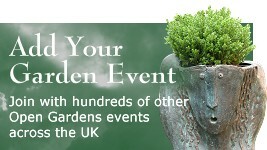 Garden owners will be on hand to discuss your ideas and answer your questions. There will also be teas with home-made cakes and plant stalls. There are plenty of cafes and pubs in the town where you can have lunch, or pleasant picnic spots down on the Quay or in Grove Gardens park near the High Street. If you are coming from a distance, why not plan a day out? Lymington Town Tours' volunteer guides run walking tours on Sunday morn-ings starting at 11.00am. You can find out details by going to www.lymingtontowntours.co.uk. No need to book, just turn up at the start. There is no fixed charge, but a donation is requested at the end of the walk. Proceeds in aid of the Friends of St. Barbe Museum and Art Gallery. There will be plant stalls at several gardens. £6.00 adults, accompanied under 13s free. 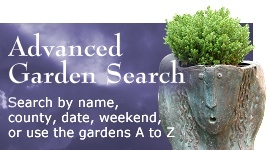 In advance (from 6th May) from the St. Barbe Museum and Art Gallery shop, New Street, Lymington, or on the day from any participating garden. Lymington is on the south side of the New Forest, some 15 miles East of Bournemouth. Ferries leave our harbour heading for the Isle of Wight.